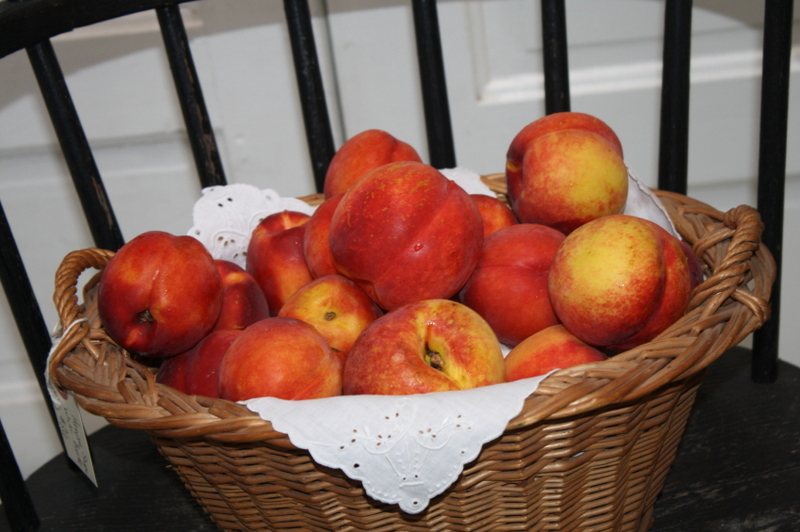 peaches | Cape May Antiques Inc.
A Real Still Life of Fresh Peaches! Mom and I grabbed the best end of season Fresh Peaches from a local farm market earlier this week and we have been enjoying them so very much! Sweet, juicy, large and plump! Pretty as a picture so I decided to create my own Still Life of Fruit, Peaches more specifically. 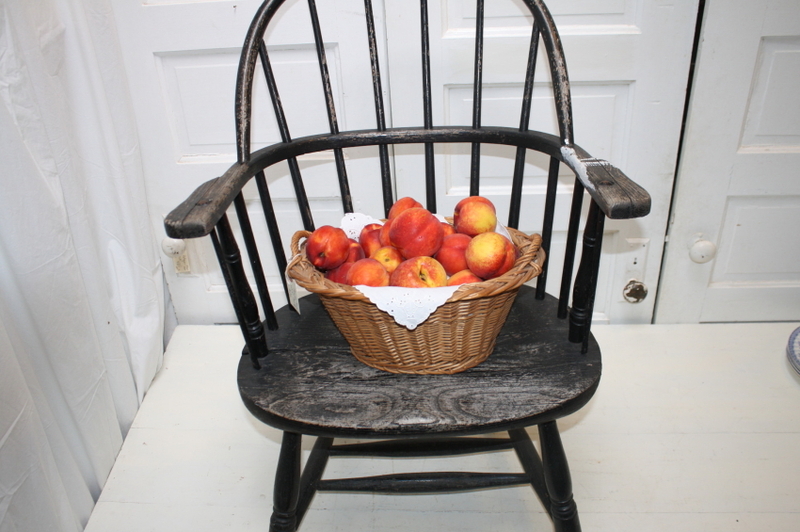 I have an old Windsor chair with all original black patina which plays off beautifully with the peach colored, well peaches! I filled a vintage wicker basket with handles on each side and a graduated form to hold our plentiful haul from the fresh produce stand! Laid down a pretty white linen napkin first. Don’t you love the color variations!